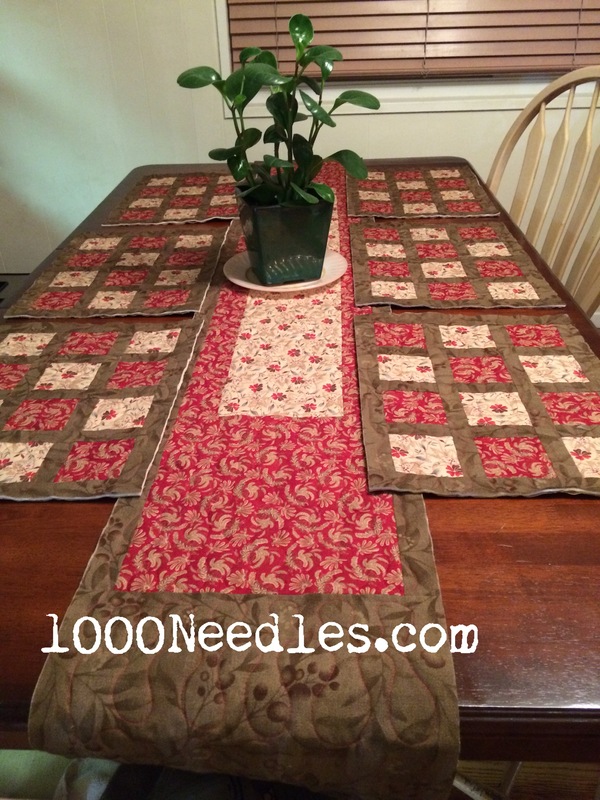 For BOM Away Monday, the place mats and table runner is finally finished! Normally I wouldn’t wash it right away but I did because a couple of them had some an unfortunate accident. So I washed them and they shrunk just enough to fit on the table without overlapping! It’s still a secret so here is a picture of Flowers and Baskets. 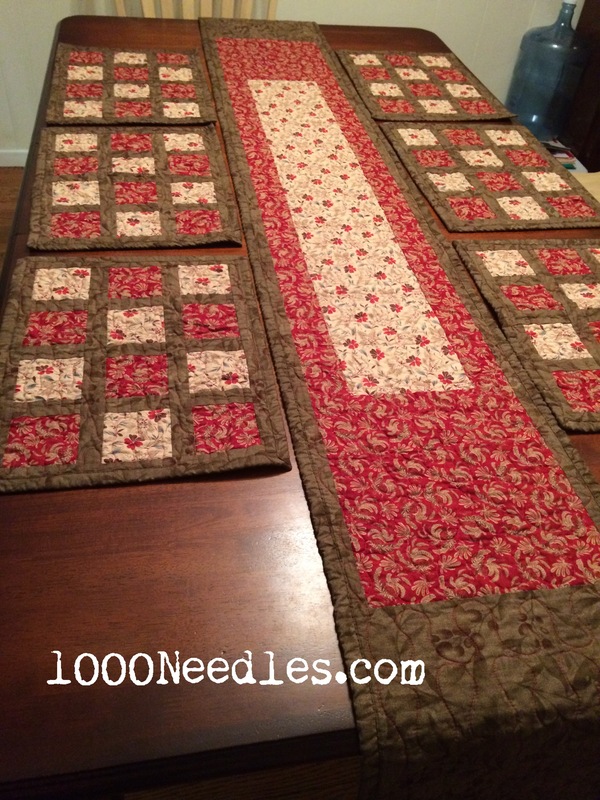 I’ve been quilting this project. All the flowers and baskets are quilted as well as the four black solid squares. I just used a black Aurifil 50W thread to quilt those. 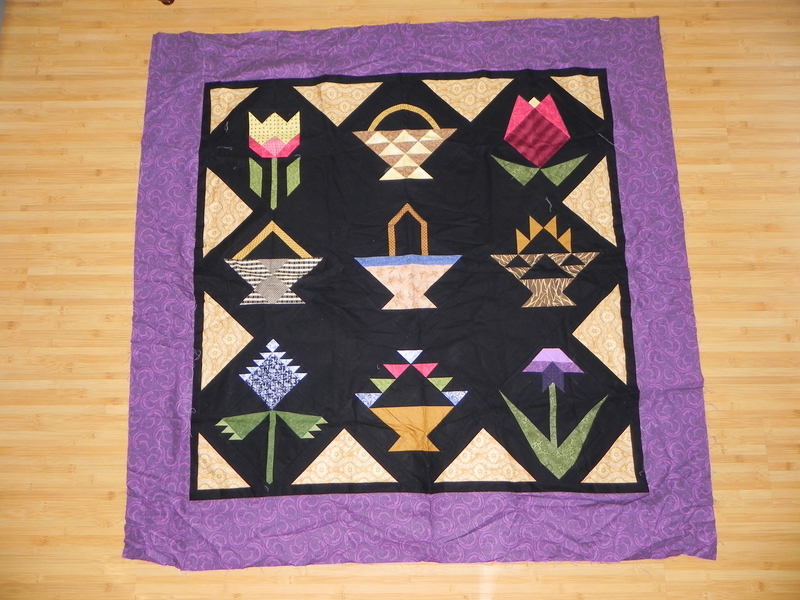 The next part I’m quilting is the gold triangles and then the purple border. Flowers and Baskets, almost done. 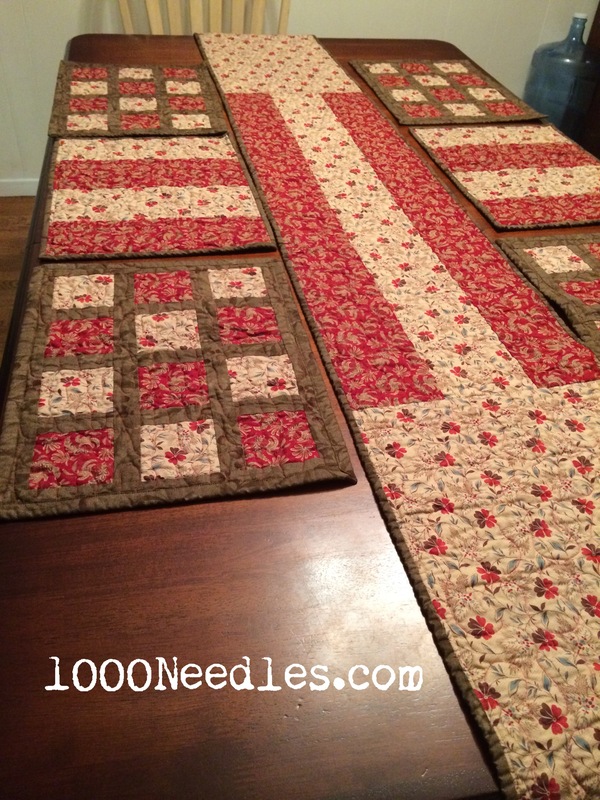 Table runner and placemats finished. You were on a roll! Plus there’s that secret thing you have going on. Can’t wait to see that!